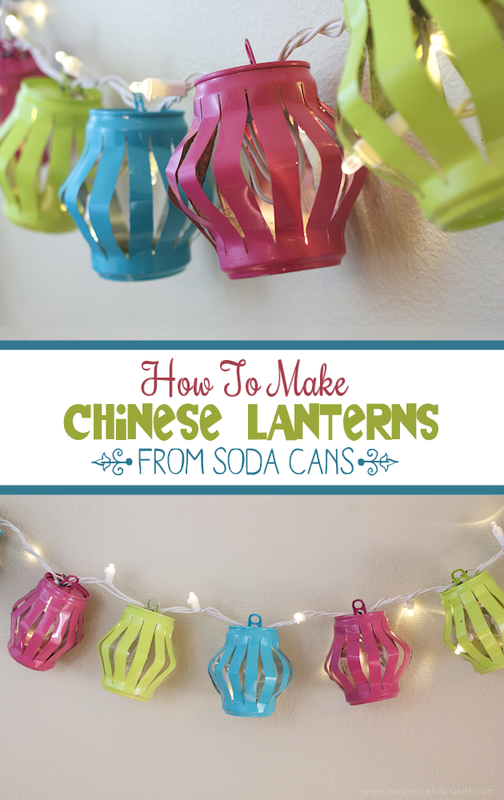 We’re going to show you how to make Chinese Lanterns that you can string up using light strands. We’ve done a larger version of these using tea lights but this small updated version is not only easier to make, they are much easier to maintain. 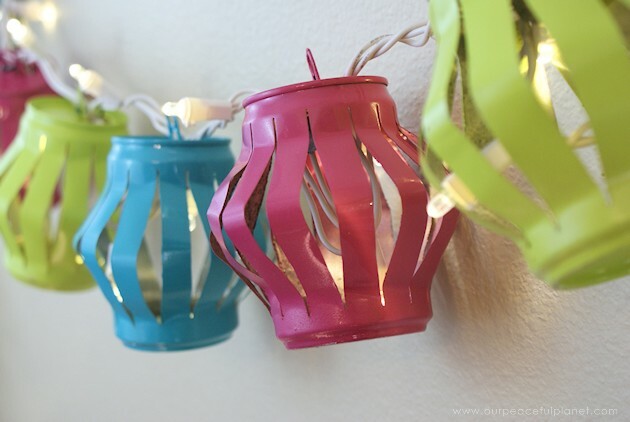 Use them for parties inside or hang along your back porch for ambient lighting that looks wonderful day or night. 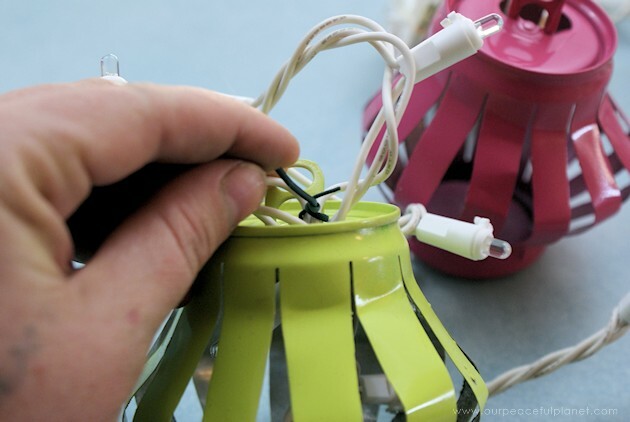 If you enjoy this project, you’ll also like our Elegant Path Lights from Soda Bottles, another great upcycle that lights up your life. And while we’re talking plastic bottles… well, you’ve got to check our incredibly unique Metro Modern Self Watering Planters. As far as we know, one of them is one of a kind! Gather your supplies. While we opted for a 15′ strand of lights, you can use the length that fits your needs. 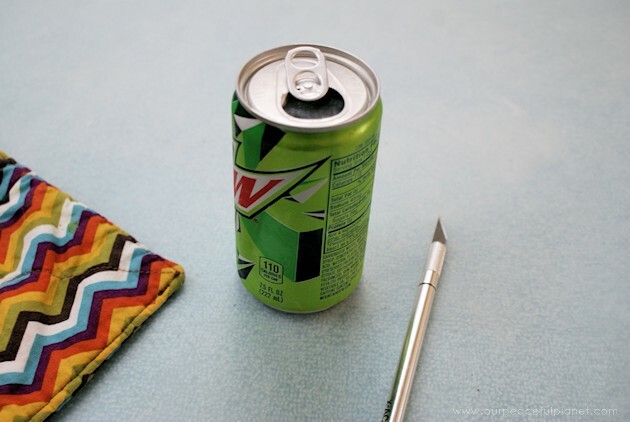 Begin by rinsing the 7.5 oz soda cans. Then fill them with water. Place the cans in the freezer overnight. Don’t worry – they won’t explode! 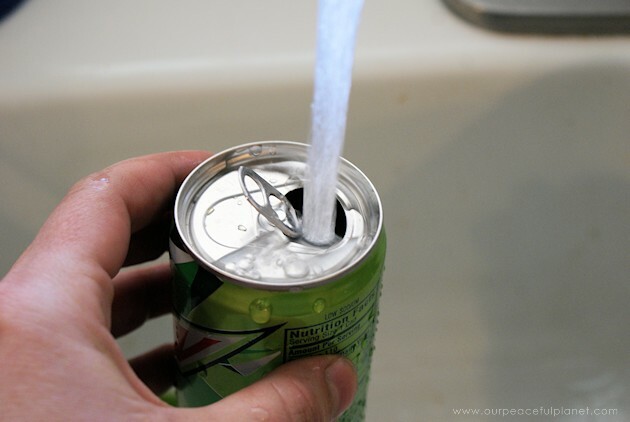 The opening in the top of the can allows for the water to expand without damaging the can. 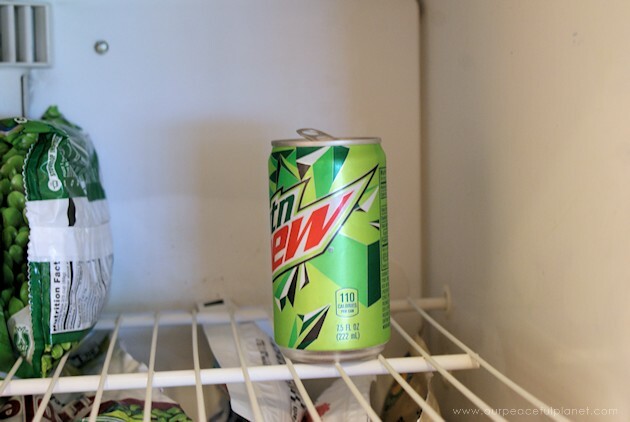 Once frozen, remove the cans from the freezer and grab an oven mitt or hand towel to hold them with as they will be very cold. 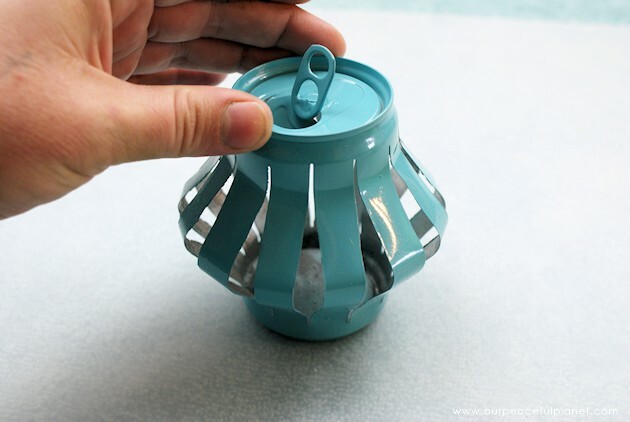 Wrap a rubber band around the top of the can, just below the bevel. 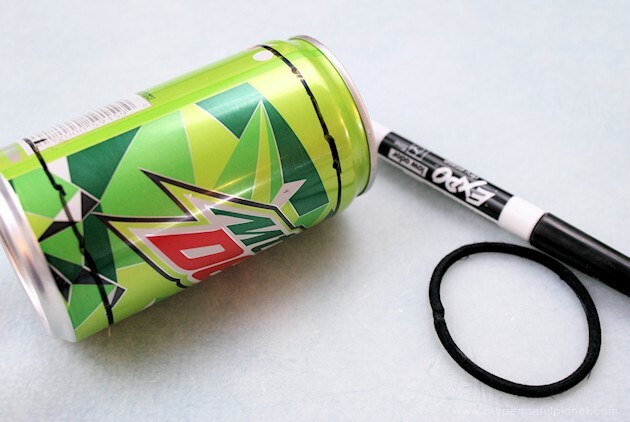 Trace around the rubber band with a dry erase marker. 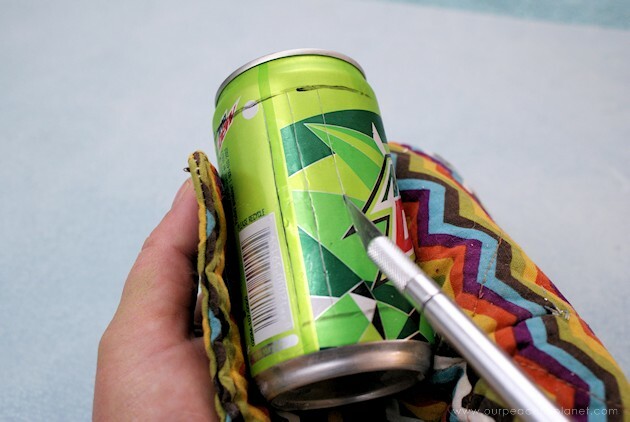 Holding the can with the oven mitt, cut between the marked lines with the X-acto knife. The frozen water gives you a solid backing, ensuring straight, clean lines. Keep cuts about 1/2 inch apart. Complete this around the full circumference of the can. 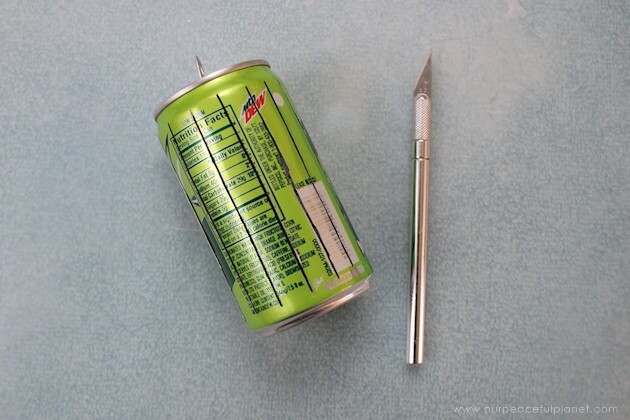 Once cut, set the cans in a sink of hot water and wait for the ice to thaw. Let dry. 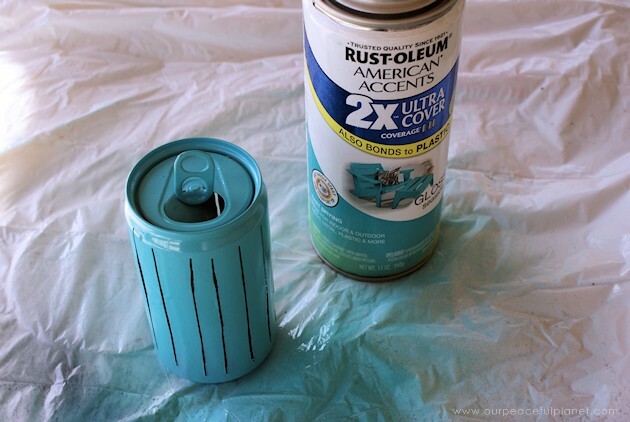 Spray paint the cans your color of choice. Let dry. 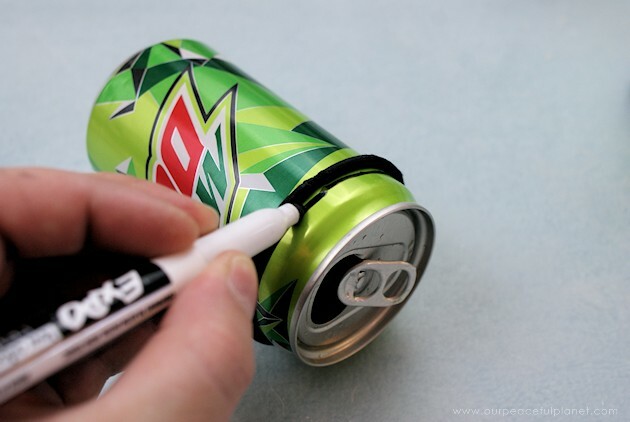 Once the cans are dry, simply press the top and bottom of the can together in order to get the bend. This may take a few tries to perfect. Some of the ribbons may bend inward, initially. Simply reach into the can and bend them back out. Aluminum is very forgiving. 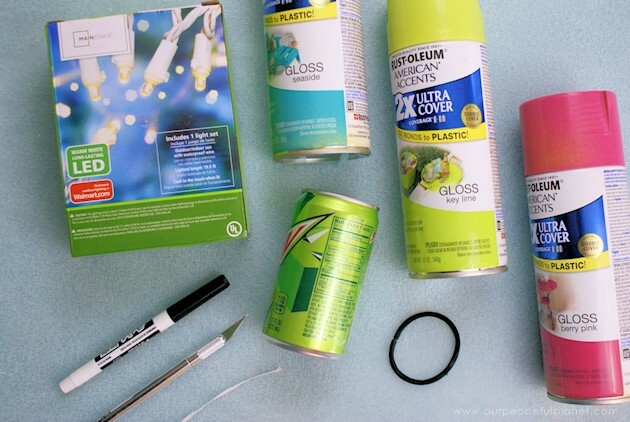 Depending on the length of your light strand, insert 3-4 lights into the top of each can. 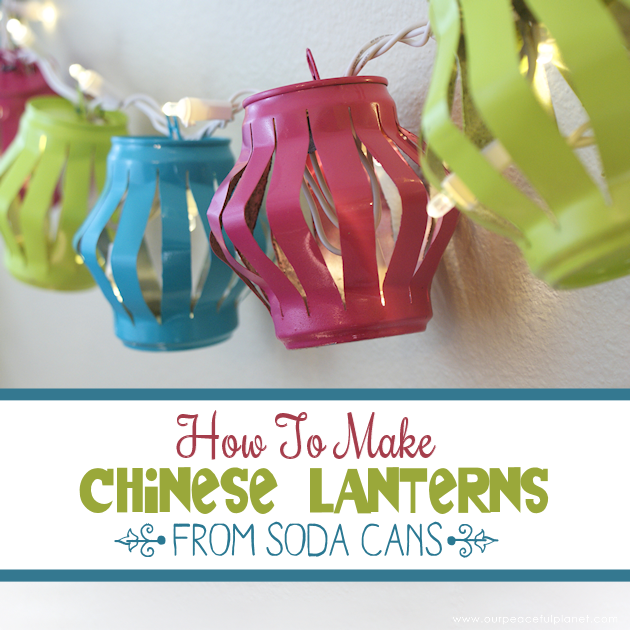 Leave one light out in between each can if needed for spacing. 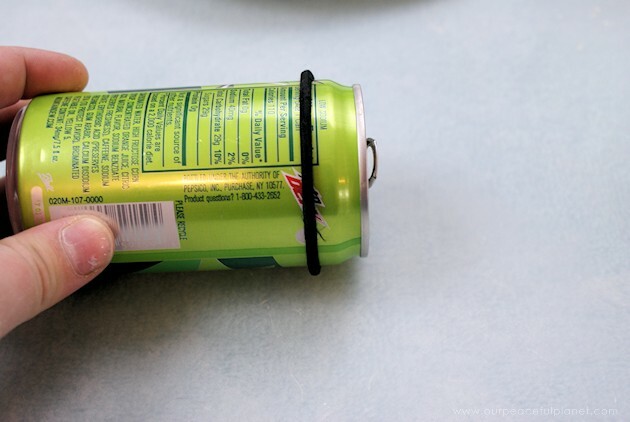 Use a twist-tie or white pipe cleaner to attach the wires to the pull tab of the soda cans, ensuring everything stays in place. We used green but suggest you use white to match the lights. 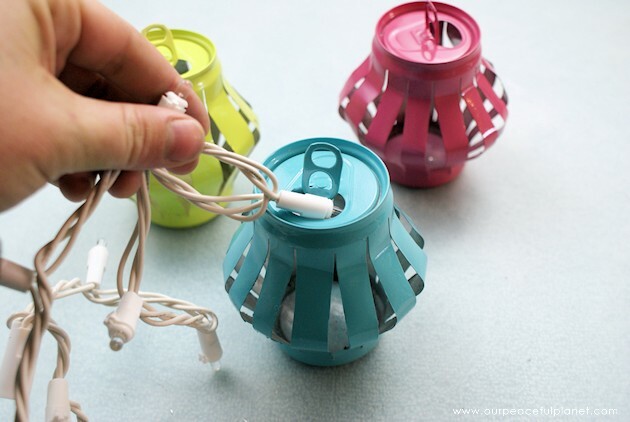 If using multiple colors, rotate between them as you insert lights. When finished, simply plug in and enjoy!